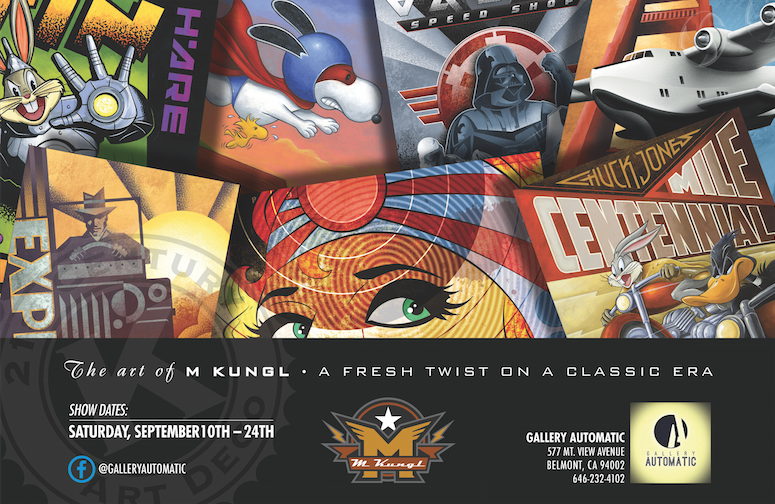 M Kungl Studios is proud to be a part of Gallery Automatic's show, titled "King City", opening on Saturday, September 10th from 4pm to 9pm. "King City" evokes a multitude of interpretation of kingship in abstract forms - landscape, nature, illustration and printed art. Mike Kungl, Connie White, Aggie Pagnillo and other artists will be showcased in this very special event!